Clerkenwell’s Betts Project is showing Märkli’s sketches and models, and with or without knowing his architecture, they present an extraordinary meditative journey into pattern, proportion and form. 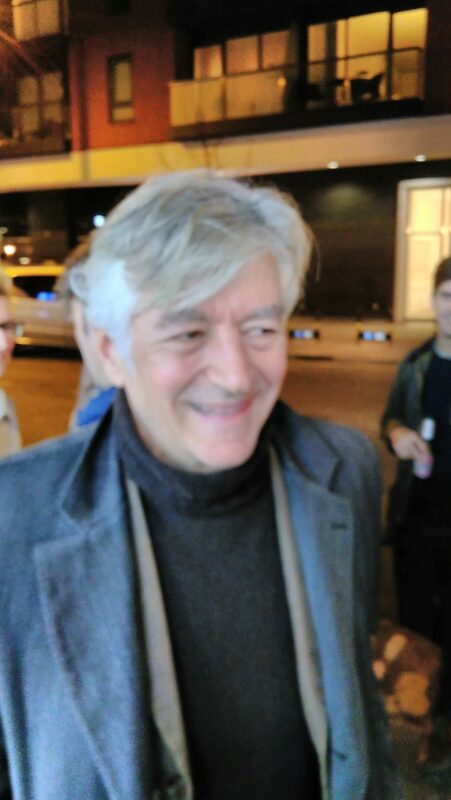 At the preview, Märkli cut a charismatic, elegant figure with his floppy white fringe, grey coat and black poloneck, and he was surrounded by fans. When he popped out for a cigarette, I asked why so many of his admirers were young.’I don’t know exactly’ he says. ‘I don’t control it’. 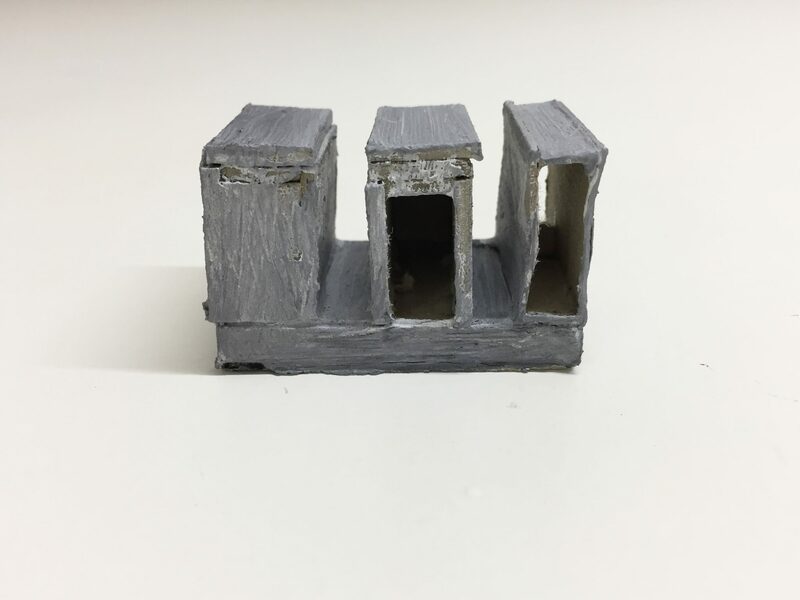 Next door to a neon takeaway called Chicken Diner, the Betts Project is by contrast the epitome of a discrete, minimalist gallery. 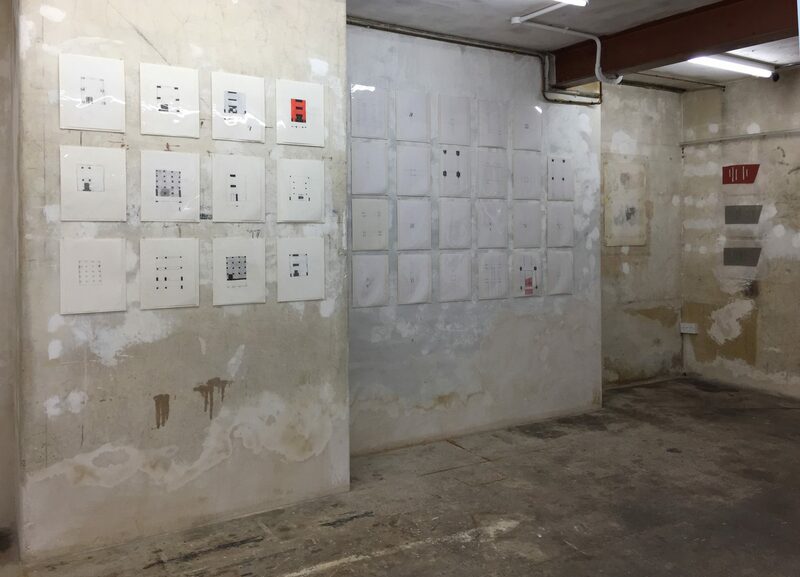 Its basement is a raw space of plaster walls with sanded-down repair patches, and Märkli drawings march across them in grids behind plastic film. It’s strangely appropriate to contemplate his not-always-straight yet disciplined drawings. Subtly varying configurations of elements like squares, rectangles and circles lie within neat rectangles. Sometimes, the colour red appears, but quietly, not dynamically like say with the supremacists. 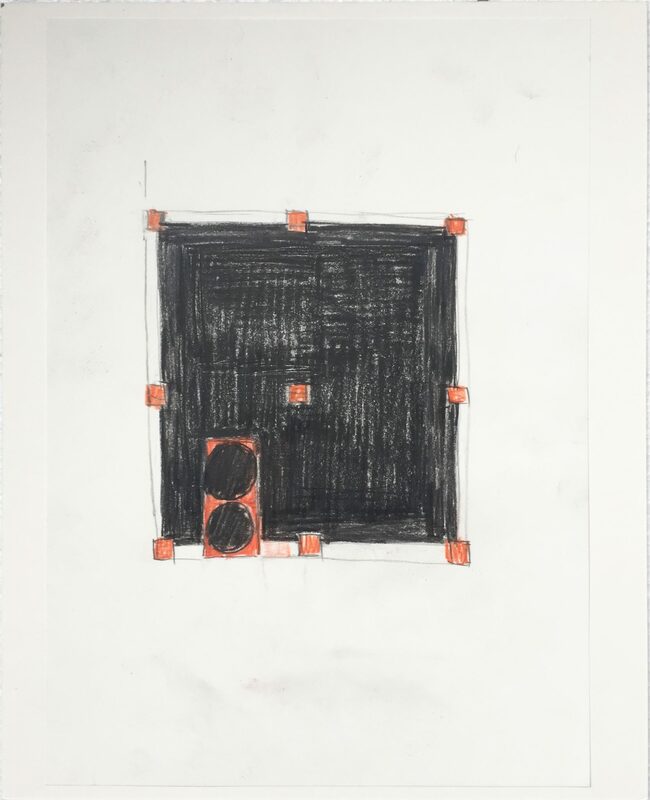 His drawings are not always about a particular project, but some on show relate to the Belvoir Hotel School (built 2011) and Synthes company offices (2012), both – like most of his work – in Switzerland. There are some elevation drawings of houses, but the third dimension is not drawn often. One exception is axonometric sketches on tracing paper of his Picassohaus, a Zurich office block clad in glass as dark as if it were by Mies van der Rohe. The gallery behind the shopfront shows works with solid form, like 3D sketches. A long vitrine contains variations on his studies for the Novartis Campus Visitor Centre in Basel – basically, three parallel boxes on a podium base. The painted cardboard models are crude, but the building, finished in 2006 (with a Jenny Holzer active word installation in the podium facade) has a very different texture – a pristine cladding of champagne-coloured glass and aluminium. Nevertheless, the same form is clear in models and reality. 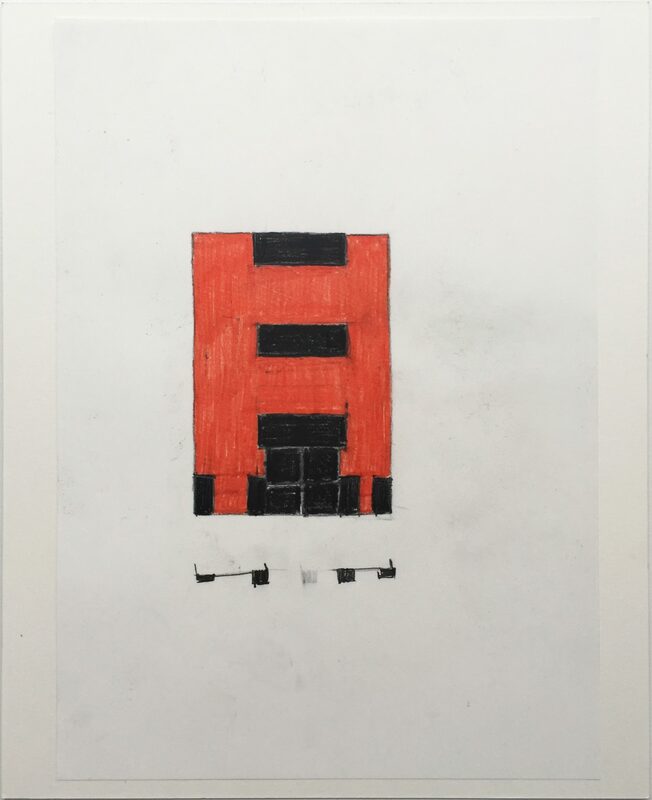 This is a clue to his approach, whether 2D or 3D – ‘the sketch is the germ of an idea, with no detail in it’, he says. It ‘has to be kept small, otherwise you’d have to flesh out certain details’. In the 1980s, Märkli designed a series of admired houses that sometimes had an eclectic mix of elements – a postmodernist approach, though the Märkli world seems to shun the word. His breakthrough project was La Congiunta (1992), an off-grid brutalist gallery isolated in a valley, especially designed for the rough, primal half-figures and heads of sculptor Hans Josephsohn, who died in 2012. The two had a history of collaboration, and that is honoured in the Betts show by two small, dark Josephsohns mounted on the walls. 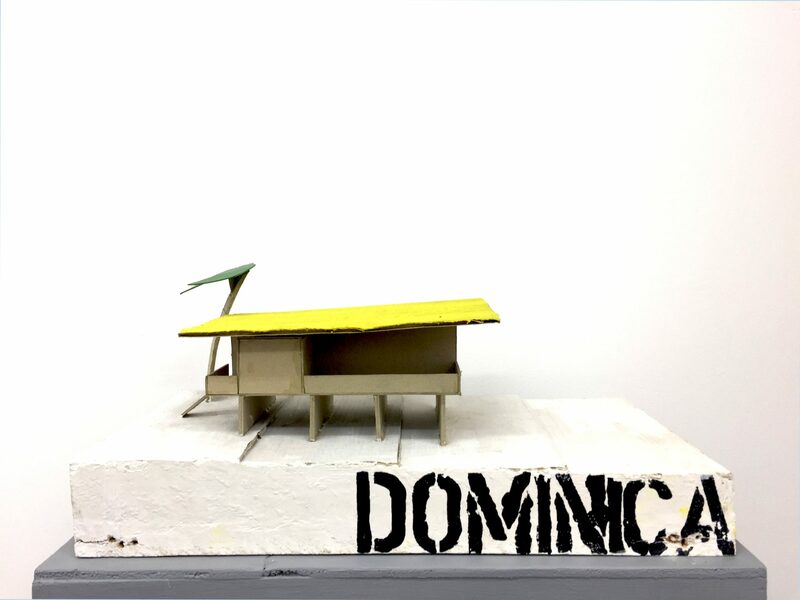 By contrast, the brightest item (on loan from the Deutsches Architekturemuseum, Frankfurt) is a model of a house designed for the Dominican Republic in 1991, with an exuberant yellow corrugated iron roof. Märkli admits his architecture has been through many styles – ‘one learns’, he says. Every project is constrained by function and location, but within that, Märkli holds onto a freedom of concept as he explores the language of architectural tectonics to express it in. 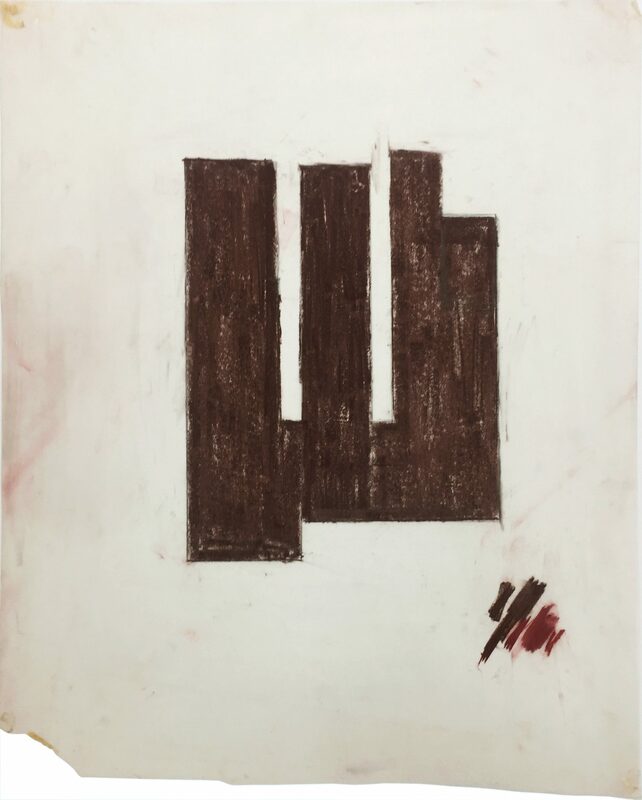 The meaning of Märkli may be elusive, but the purity of his ideas in his sketches and models make them art in itself. This entry was posted in EXHIBITIONS and tagged Peter Märkli. Bookmark the permalink.